:Enter the Ring takes a fresh, powerful, vulnerable approach to marriage by framing it as the fight that it is. The world uses different assaults and tactics to distract us, tempting us to walk away, in order to destroy our marriages. But there is hope: The constant forgiveness, grace, and intervention of God can preserve and protect us from not only the world but also ourselves. This book approaches the traditional topics of a marriage book with the brutal and life-giving honesty of two millennials who have fought together for their marriage. All topics are addressed through the vulnerable lens of the authors' own struggles and mistakes. This is a no-holds-barred, real-world ... marriage book. 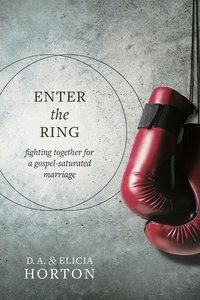 About "Enter the Ring: Fighting Together For a Gospel-Saturated Marriage"